Entries tagged "nice free software". My current home stereo is a patchwork of various pieces I got on flee markeds over the years. It is amazing what kind of equipment show up there. I've been wondering for a while if it was possible to measure how well this equipment is working together, and decided to see how far I could get using free software. After trawling the web I came across an article from DIY Audio and Video on Speaker Testing and Analysis describing how to test speakers, and it listing several software options, among them AUDio MEasurement System (AUDMES). It is the only free software system I could find focusing on measuring speakers and audio frequency response. In the process I also found an interesting article from NOVO on Understanding Speaker Specifications and Frequency Response and an article from ecoustics on Understanding Speaker Frequency Response, with a lot of information on what to look for and how to interpret the graphs. Armed with this knowledge, I set out to measure the state of my speakers. The first hurdle was that AUDMES hadn't seen a commit for 10 years and did not build with current compilers and libraries. I got in touch with its author, who no longer was spending time on the program but gave me write access to the subversion repository on Sourceforge. The end result is that now the code build on Linux and is capable of saving and loading the collected frequency response data in CSV format. The application is quite nice and flexible, and I was able to select the input and output audio interfaces independently. This made it possible to use a USB mixer as the input source, while sending output via my laptop headphone connection. I lacked the hardware and cabling to figure out a different way to get independent cabling to speakers and microphone. Using this setup I could see how a large range of high frequencies apparently were not making it out of my speakers. The picture show the frequency response measurement of one of the speakers. Note the frequency lines seem to be slightly misaligned, compared to the CSV output from the program. I can not hear several of these are high frequencies, according to measurement from Free Hearing Test Software, an freeware system to measure your hearing (still looking for a free software alternative), so I do not know if they are coming out out the speakers. I thus do not quite know how to figure out if the missing frequencies is a problem with the microphone, the amplifier or the speakers, but I managed to rule out the audio card in my PC by measuring my Bose noise canceling headset using its own microphone. This setup was able to see the high frequency tones, so the problem with my stereo had to be in the amplifier or speakers. Anyway, to try to role out one factor I ended up picking up a new set of speakers at a flee marked, and these work a lot better than the old speakers, so I guess the microphone and amplifier is OK. If you need to measure your own speakers, check out AUDMES. If more people get involved, perhaps the project could become good enough to include in Debian? 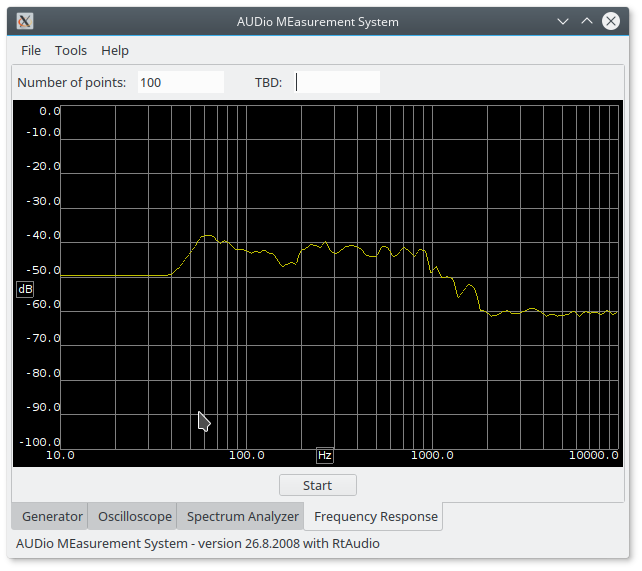 And if you know of some other free software to measure speakers and amplifier performance, please let me know. I am aware of the freeware option REW, but I want something that can be developed also when the vendor looses interest. 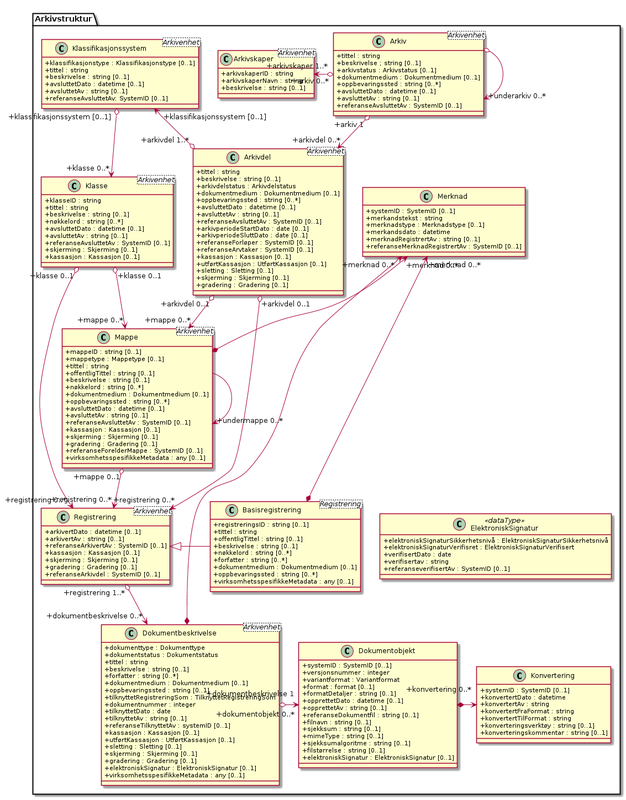 Tags: english, nice free software. Most people seem not to realise that every time they walk around with the computerised radio beacon known as a mobile phone their position is tracked by the phone company and often stored for a long time (like every time a SMS is received or sent). And if their computerised radio beacon is capable of running programs (often called mobile apps) downloaded from the Internet, these programs are often also capable of tracking their location (if the app requested access during installation). And when these programs send out information to central collection points, the location is often included, unless extra care is taken to not send the location. The provided information is used by several entities, for good and bad (what is good and bad, depend on your point of view). What is certain, is that the private sphere and the right to free movement is challenged and perhaps even eradicated for those announcing their location this way, when they share their whereabouts with private and public entities. The phone company logs provide a register of locations to check out when one want to figure out what the tracked person was doing. It is unavailable for most of us, but provided to selected government officials, company staff, those illegally buying information from unfaithful servants and crackers stealing the information. But the public information can be collected and analysed, and a free software tool to do so is called Creepy or Cree.py. I discovered it when I read an article about Creepy in the Norwegian newspaper Aftenposten i November 2014, and decided to check if it was available in Debian. The python program was in Debian, but the version in Debian was completely broken and practically unmaintained. I uploaded a new version which did not work quite right, but did not have time to fix it then. This Christmas I decided to finally try to get Creepy operational in Debian. Now a fixed version is available in Debian unstable and testing, and almost all Debian specific patches are now included upstream. 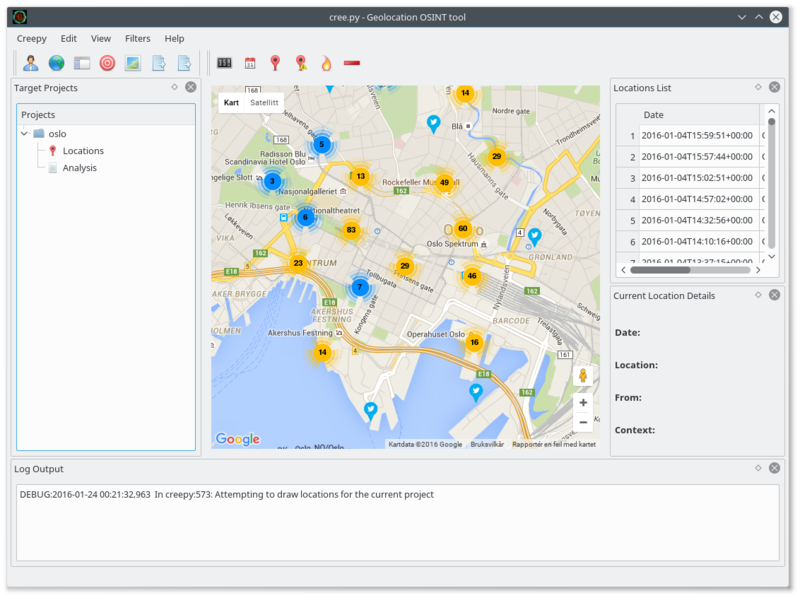 The Creepy program visualises geolocation information fetched from Twitter, Instagram, Flickr and Google+, and allow one to get a complete picture of every social media message posted recently in a given area, or track the movement of a given individual across all these services. Earlier it was possible to use the search API of at least some of these services without identifying oneself, but these days it is impossible. This mean that to use Creepy, you need to configure it to log in as yourself on these services, and provide information to them about your search interests. This should be taken into account when using Creepy, as it will also share information about yourself with the services. The picture above show the twitter messages sent from (or at least geotagged with a position from) the city centre of Oslo, the capital of Norway. One useful way to use Creepy is to first look at information tagged with an area of interest, and next look at all the information provided by one or more individuals who was in the area. I tested it by checking out which celebrity provide their location in twitter messages by checkout out who sent twitter messages near a Norwegian TV station, and next could track their position over time, making it possible to locate their home and work place, among other things. A similar technique have been used to locate Russian soldiers in Ukraine, and it is both a powerful tool to discover lying governments, and a useful tool to help people understand the value of the private information they provide to the public. The package is not trivial to backport to Debian Stable/Jessie, as it depend on several python modules currently missing in Jessie (at least python-instagram, python-flickrapi and python-requests-toolbelt). In 1.7 seconds I had checked two mailing lists and confirmed that there are no message in the moderation queue. Every morning I currently moderate 68 mailman lists, and it normally take around two minutes. When I took over the two pkg-xiph lists above a few days ago, there were 400 emails waiting in the moderator queue. It took me less than 15 minutes to process them all using the listadmin program. discard_if_reason "Posting restricted to members only. Remove us from your mail list." There are other options to set as well. Check the manual page to learn the details. If you want to moderate a subset of the lists you take care of, you can provide an argument to the listadmin script like I do in the initial screen dump (the xiph argument). Using an argument, only lists matching the argument string will be processed. This make it quick to accept messages if you notice the moderation request in your email. Without the listadmin program, I would never be the moderator of 68 mailing lists, as I simply do not have time to spend on that if the process was any slower. The listadmin program have saved me hours of time I could spend elsewhere over the years. It truly is nice free software. Update 2014-10-27: Added missing 'username' statement in configuration example. Also, I've been told that the PERL_LWP_SSL_VERIFY_HOSTNAME=0 setting do not work for everyone. Not sure why. Included in Debian Edu / Skolelinux is a large collection of end user and school specific software. It is one of the packages not installed by default but provided in the Debian archive for schools to install if they want to, is a system to automatically plan the school time table using information about available teachers, classes and rooms, combined with the list of required courses and how many hours each topic should receive. The software is named FET, and it provide a graphical user interface to input the required information, save the result in a fairly simple XML format, and generate time tables for both teachers and students. 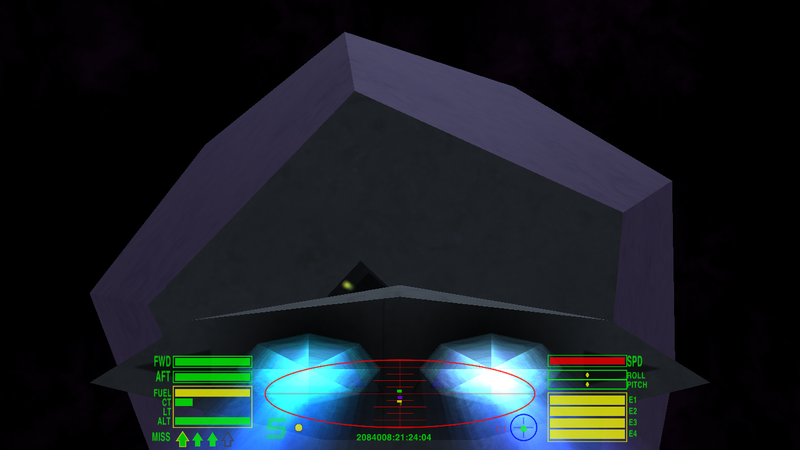 It is available both for Linux, MacOSX and Windows. I have not used it myself, as I am not involved in time table planning at a school, but it seem to work fine when I test it. If you need to set up your schools time table, and is tired of doing it manually, check it out. A quick summary on how to use it can be found in a blog post from MarvelSoft. If you find FET useful, please provide a recipe for the Debian Edu project in the Debian Edu HowTo section. Tags: debian edu, english, nice free software.